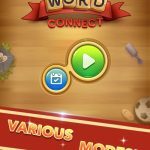 By now, there’s probably no need for introduction when talking about Zynga’s Words with Friends, a big hit on Facebook that has since become available for iOS and Android device owners. 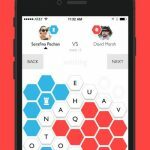 It is a free social word game (with emphasis on social) where you choose your opponent with the help of Community Match, though you can also play offline in solo mode. 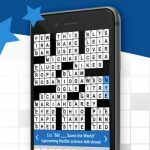 This is a game that can help you expand your vocabulary and try to top the scores of your friends, or the scores you see up there on the leaderboards. 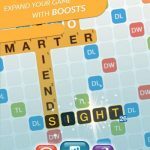 Since playing solo is good for practice, but essentially no fun at all as compared to playing against someone else, we’re going to provide you some useful Words with Friends cheats, tips and tricks for competitive play. Words with two or three letters are, by far, the easiest to form, and you should always plan ahead to have some very short words on tap in case you’re in dire need of points or needing to make some kind of move whatsoever. It’s advisable to create a quick list of two- and three-letter words so you can head in to your next game absolutely prepared. In the event you place a word that doesn’t work, that won’t forfeit your turn in Words with Friends; you can keep on coming up with words until you’re able to find something valid. So with that in mind, you can try playing words that might not actually be in the dictionary – who knows, you may luck out and stumble upon a word you can actually play. If you’re looking for a higher score, and one that’ll give you a good chance of trumping your opponent, take a look at the board and plan to create words around the bonuses that are already present. If you’ve got an opportunity to create a big, long word, then it’s a good idea to play that word in the left part of the board, just as long as it’s left of center. Long words, on the other hand, are best played on the left side. And just like the first move of a chess game can already be a game-changer, or a game-defining move, the same applies with the first words you choose in Words with Friends. A swap will cost you a turn in Words with Friends, so only save these actions for when you really need them. We would advise swapping if you regularly get the letter “Q” or letter “Z,” or any other letter that you can’t quite place on the board. In addition, you can also swap if you’ve got too many vowels or too many consonants to play; swapping is part of the game’s strategy, and pulling a swap off successfully could also set the mood for the rest of the game as you know it.